It is Friday 19th October 2012, and gold prices have dropped quite significantly after a 6 month high. Unscrupulous Cash for Gold Companies are still using misleading advertising techniques to imply that they pay the best rates. Some even claim to pay more than the market value for gold. Once you send your gold in to these companies, they offer a fraction of the true value and some make it difficult for you to get your items back. This article will show you how it is impossible for these companies to offer the rates that they claim. In order to put things into perspective, we will first show you the market value for gold on 19th October 2012 src. AM Fix provided by London Bullion Market Association. No Gold buyer earns 100% on scrap 9ct jewellery. The trade sell their scrap at anywhere between 93% and in exceptional cases 98% of this value. As such, the most a refiner buyer could sell your 9ct gold for today would be 98% * £13.00 = £12.74 per gram. 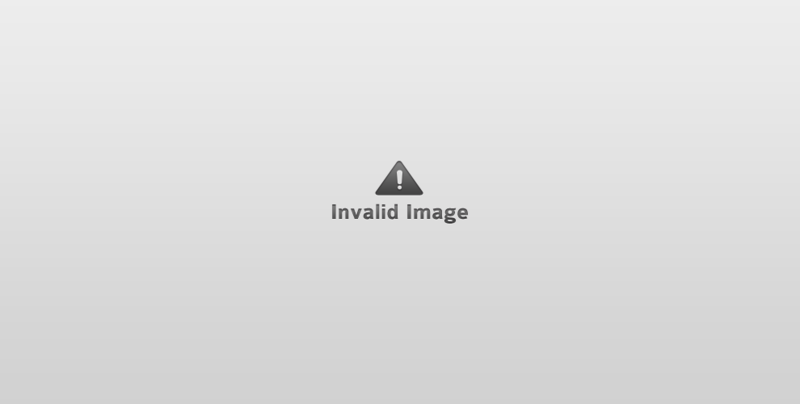 As proof of this fact, an example from the Pressman Mastermelts website (one of the UK’s largest precious metals refiners to the trade) shows that the trade gets only £12.62 per gram on 19 Oct 2012. Having been told off by the Advertising Standards Authority for misleading advertising, and also featuring on Rip Off Britain, The British Gold Refinery have a notorious reputation for paying out extremely low rates for your gold. Not only that, their small print is designed to confuse and mislead you so that you don’t question before sending off your gold. 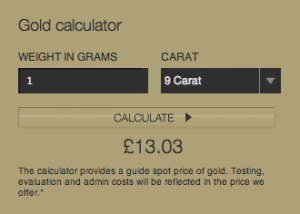 Today, the British Gold Refinery Online calculator shows that 1 gram of 9ct gold is worth £13.03. And you could be forgiven for thinking that this is the rate that they actually pay. The British Gold Refinery have added a note at the bottom of their calculator, indicating that the price is a (spot price) for gold. They will also deduct testing and evaluation costs, but no further information on what these costs could amount to is provided. This little footnote really means – The market value for your gold is £13.03, but we are going to give you absolutely no indication as to how much we are going to actually offer. We will also take off various charges, but you won’t know what the charges are until we receive your items. Many customers who have fallen for this trap have had to wait over 6 months to get their gold back. Credit to The British Gold Refinery, at least now they are being honest about the fact that their calculator is not an indication of how much they will actually pay. ukgoldrefiners.co.uk are currently advertising extremely great rates for purchasing 9ct gold jewellery. Their ad text on google says – Gold Buyers, www.ukgoldrefiners.co.uk, Best Prices Paid Out, Same Day Pay, 9CT £13.35 18CT £26.70 22CT £32.62. Remember that the market value for 9ct gold is only £13.00 per gram and a gold buyer in the best case would only get back £12.74? Clearly if ukgoldrefiners.co.uk did actually pay £13.35 per gram for 9ct gold, then for every kilo of gold that they purchased, they would make a loss of a minimum of £620. So we took a look at their website, because as refiners, we would love to sell our own trade gold to them at this price. The online calculator that they provided, whilst looking very slick, also shows that the price they pay is in fact £13.00 per gram. Not quite the £13.35 that they were advertising, but still impossible. They also have a little footnote showing that this price is the market value but no indication of the actual amount that they will pay. cash4mygold.co.uk is another company who quite simply doesn’t pay what they say that they will pay. Their google ad text says that they will pay £13.00 per gram. The top of their website indicates that 9ct gold is worth £13.00 per gram. Their online calculator shows that they will pay £13.00 per gram. The small print on the online calculator says quite clearly something very different. So essentially, these three companies that we have looked at today all imply that they pay £13.00 per gram or more per gram for 9ct gold. All three gold buyers have hidden somewhere that they don’t actually pay the rate that they say they pay. If you would like an accurate valuation for your gold, feel free to use our online gold calculator. The price quoted is the price you will receive. The price is updated daily in line with the precious metals markets. The table below shows the current market value for your gold, and the price we at Goldealers Ltd will pay you per gram. If you send your gold to us today 19th October, you will receive a telephone call to confirm the price once we have valued your items Saturday 20th October. The price quoted on the online calculator does assume that you have entered in the weight and carat of your items correctly. Please note that the three example companies shown above are just a handful of companies who do not show the actual rates that they pay. There are many more. As such, we would always recommend that you do your research into the company to make sure that you fully satisfied with their offering. Why do Gold buyers mislead the public? Competition is fierce for gold buyers across the UK and the world to sell their gold to you. Many companies are just out there to get that quick buck. If you need money fast, you may fall into the trap of sending off your gold without fully reading or understanding the terms and conditions of service. Companies like this rely on this fact to take advantage of you. We would always recommend that you look at reviews left with third parties as reviews left on a gold buyers own site are often fabricated. Feel free to share your experiences with other gold buyers by commenting on this post. Please make it clear which company you dealt with, what rate they quoted you, and what rate they actually paid you. An indication of the date that the transaction took place would also be useful.